Welcome to our second instalment of Riddim Roundup, rounding up the top five riddims for October and giving you our picks for ‘Best Song’ and ‘Song Most Likely to Be Slept On’. ‘Money Fever’ was originally released back in August by Squash, with the deejay unsurprisingly, given the name of the track, focusing on his total obsession with trying to make money and his aspirations for what he is going to do with that money once it is acquired. 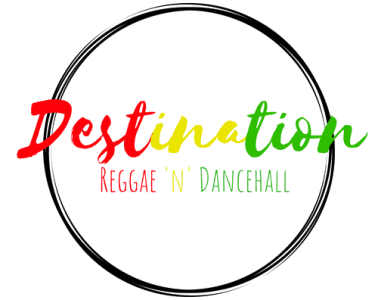 This track has really helped Squash to build a name for himself in dancehall, as one of the main protagonists in the resurgent dancehall scene in Montego Bay. With the riddim being named ‘Money Fever’ it would be silly to not expect most of the songs on the riddim revolving around the deejay’s obsession with making money and spending money. This effort from Unknown Gringo is no exception. Unknown Gringo comes onto this riddim with a very distinctive voice and flow, telling everyone about his ability to make money like a “Money Factory” with so much money everyone will think that he has won the lottery. With possibly the best song released in October it’s not hard to see why Rygin King’s ‘3ZN’ is the standout track on this riddim. Rygin King combines badman style with slow jam elements on this track and it is simply quite incredible, being possibly one of the standout tracks in his incredible come up in 2018. It seems a bit of an odd choice to say the most slept on track on a riddim would be the title track, but on a riddim that features one of the hottest artists at the moment in Rygin King and the legendary Beenie Man, a lot of attention has been taken off the title track on this riddim. Perhaps, quite unfairly. ‘Fully Aktiv’ sees Dane Ray stressing the importance of hard work and focusing on your goals, in quite an emotional track, seeing Dane Ray stressing the importance of working hard to make sure his mother has a better life. This is an incredible song and really the standout track on this riddim, yet will probably be the track that will also be the most slept on, on this riddim with the main focus on the riddim going towards Konshens and Shane O. Raine Seville has managed to produce an incredible song which displays a superb level of lyricism with some comical shout outs to almost the entire dancehall scene. This is an incredible track and really shows the quality of the dancehall scene and how talented these artists are, Raine Seville has managed to make a track which jokingly takes aim at almost every artist in the scene with witty one liners, which will honestly have you laughing out loud. ‘Siddung’ has been out for quite a while now, after originally being dropped in July, Mr Lexx uses his signature voice to create a really good track on this riddim, which has been running road in Jamaica. Mr Lexx has managed to keep himself relevant in the dancehall space with this release and shown once again why he was a standout deejay towards the end of the 90s into the 2000s. It seems weird combining Jah Vinci how had an incredible month in October with the phrase most likely to be slept on, but this track certainly has been as of yet. ‘Murda’ starts off with Jah Vinci interpolating the classic ‘Murder She Wrote’ with Jah Vinci fixated on murderous movements of a certain girl that has caught his attention. So far this track has not received a great deal of attention and has led it to land on the Most Likely to Be Slept On section. Yet another legendary artist having an incredible 2018, Mr Vegas has kept his name relevant in the dancehall space with a number of memorable releases including ‘No Tun Back’. On ‘No Tun Back’ Mr Vegas aims to ignore all the efforts from his haters and doubters. He also focuses on some serious issues on this riddim, with the poignant lyrics, “you ah blame the shotta dem, but nah lock down the gun shop”. Jah Wiz and Kahil link up for a party anthem on this track, which so far has gone relatively under the radar. With a really catchy hook and impressive vocal work throughout from Jah Wiz, added to that are Kahil’s deep vocals that add yet another level to the track.